Great summer salad for lunch or dinner. Just add cooked chicken for a complete and healthy meal. Toss with raspberry vinaigrette dressing (below). 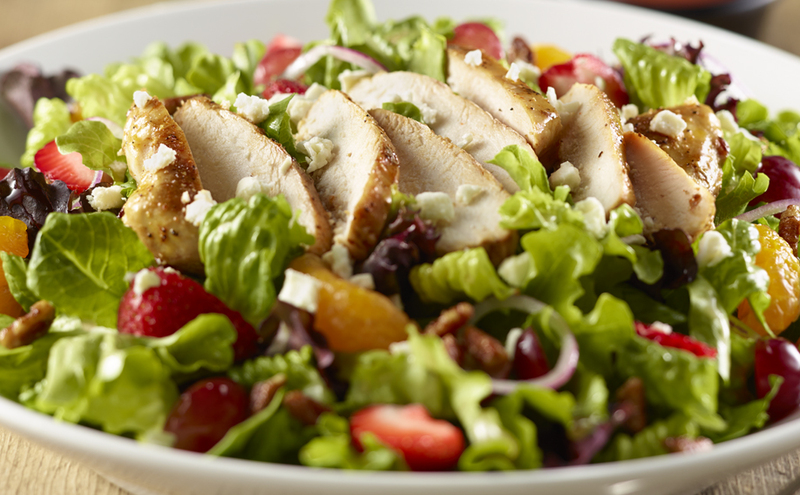 Add 2 cups cooked chicken for a delicious main dish salad. Place salt, pepper, mustard and a few drops of oil and blend with whisk until smooth. Continue adding vinegar and oil gradually, whisking until smooth. Store in covered jar in refrigerator.